Things are looking up at the site of Roccabella’s de la Montagne Tower. Construction crews have almost reached the top floor of the 40-storey building, which is on schedule for its Spring 2018 delivery. 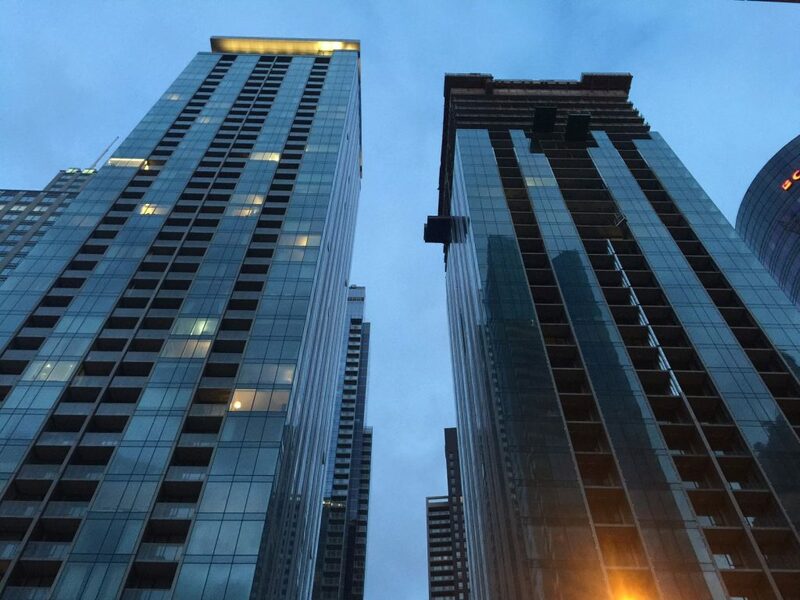 Sales are progressing well, largely thanks to personal recommendations — purchasers of the Drummond Tower are overwhelmingly satisfied with the quality of the materials and workmanship, and word is spreading fast. 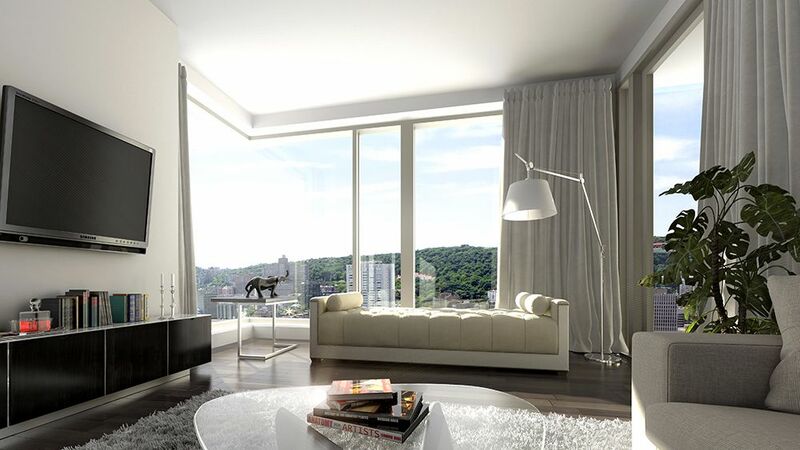 One bedroom, two bedroom, three bedroom and penthouse suites are now available, priced from $343,000 plus tax. Phase Two purchasers have already begun selecting their high-end, European made interior finishes, which include two-tone kitchen cabinets with wood and lacquer, fully integrated SMEG appliances, drawer organizers, marble or quartz countertops, and imported ceramic and solid wood flooring. 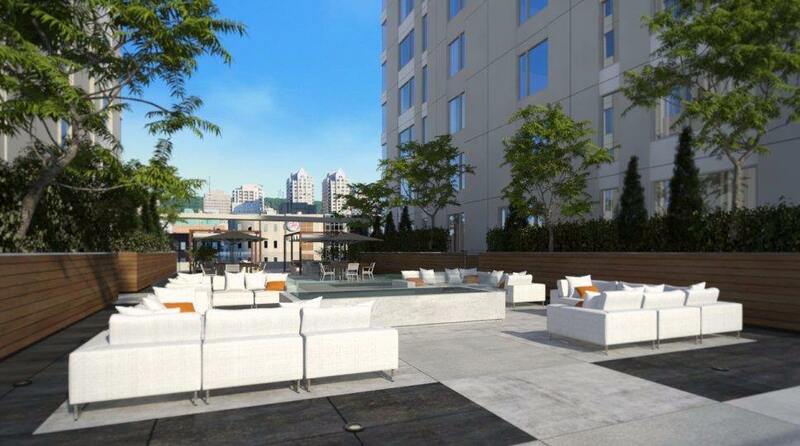 The MC Finance development will boast over 30,000 square feet of amenity space. Residents will enjoy the use of a state-of-the-art fitness centre with weight training equipment, cardio machines, yoga/pilates studio, sauna and jacuzzi. 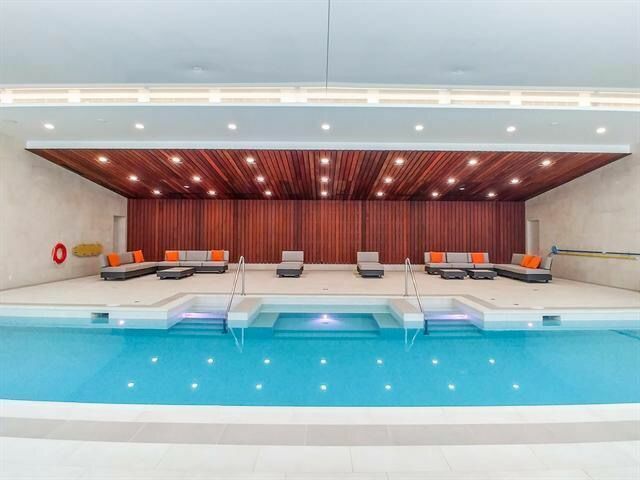 There’s even an indoor saltwater swimming pool with a large bay window wall that opens to an adjacent terrace during the warmer months. Countless summer evenings will be spent on the outdoor terraces, which are equipped with comfortable seating, barbecues and dining tables. The sophisticated party room is ideal for hosting large get-togethers, while the theatre room is fit for entertaining smaller groups. Located on René-Lévesque Boulevard West, between de la Montagne and Drummond, Roccabella is within walking distance of the shops along Sainte-Catherine, dining options on Crescent, and the many art galleries that dot Sherbrooke. The Lucien L’Allier metro station is a casual five minute stroll from the entrance of Roccabella, connecting you to all corners of the city. For more information, please call 514 838 2000 or email info@roccabella.ca.